The Street Photography Luxembourg collective held its second edition of the LSPF - Luxembourg Street Photography Festival on the 21 April 2018. The event took place at the Rotondes in Luxembourg City. This year, the festival presented three conferences with three different international photographers: Txema Salvans from Catalonia, Christian Reister from Germany as well as Magnum photographer Harry Gruyaert from Belgium. 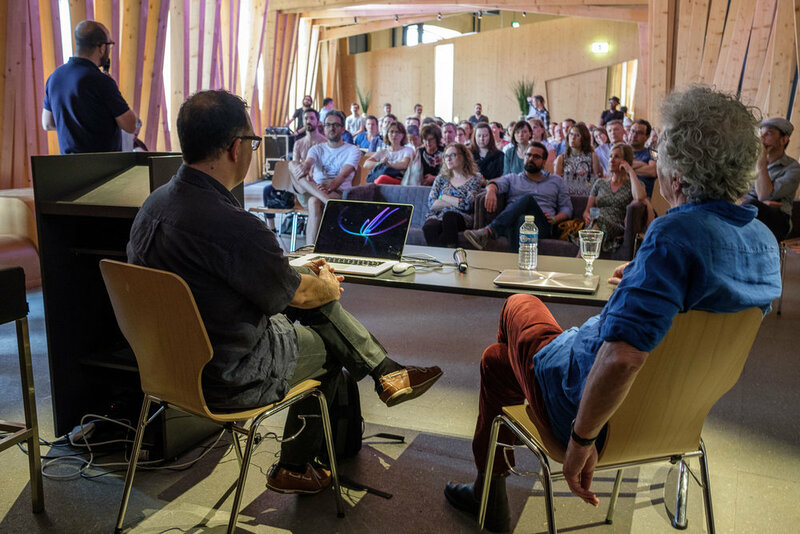 The conferences were followed by a discussion panel titled “framing street life – about taking pictures in public space” featuring two of the invited speakers, Christian Reister and Txema Salvans, as well as a couple of local photographers. The sixth edition of the Slide Night was also part of the second edition of the Luxembourg Street Photography Festival. This year the Burn my Eye collective also took part in the Slide Night as well as 10 invited guests. The photographers of the Street Photography Luxembourg collective as well as local photographer Gilles Kayser also held a small exhibition inside the Rotondes. As part of the festival, Paulo Lobo and Christophe Van Biesen, which are both part of the Street Photography Luxembourg collective, held a photography workshop on the morning of the festival. Next year's Street Photography Luxembourg Festival will be part of the European Month of Photography and take place on May 4th 2019. For more information about the festival please visit lspf.lu.